The Spaniard was in outstanding form during the Reds’ brilliant 3-1 win at the Emirates Stadium on Saturday evening – including a remarkable double stop to deny Alexandre Lacazette and Alexis Sanchez. He made 14 saves in the game – the joint-most by a goalkeeper in a single Premier League game alongside Tim Krul, for Newcastle against Tottenham in November 2013, and Vito Mannone, for Sunderland against Chelsea in April 2014 - since Opta started recording that data in 2003/04. Twitter , with 90 per cent of the final vote, ahead of two-goal Jesse Lingard and Marcos Rojo. 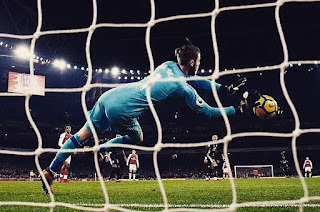 After the game, the boss recognised the efforts of De Gea and felt his performance illustrated that there is no shot-stopper in the world better than our no.1 right now. 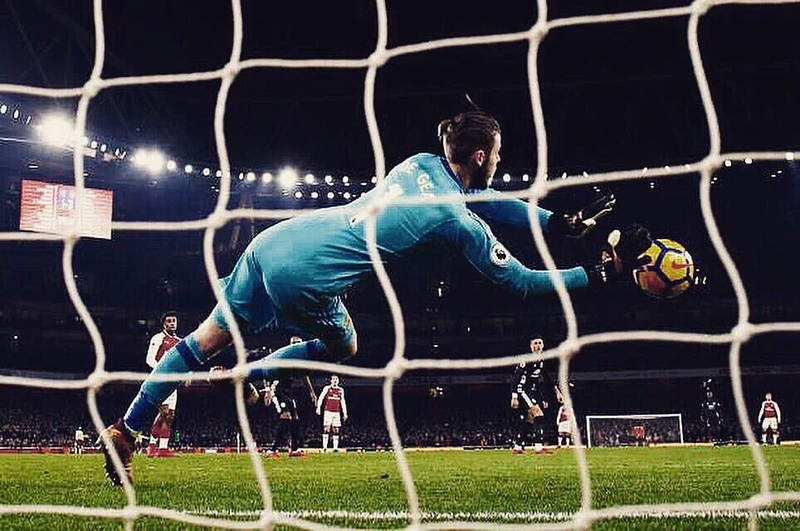 Although he was beaten by Lacazette in the second half, De Gea has still kept more clean sheets (nine) than any other keeper in the Premier League this season. It’s the first time he has picked up our Man-of-the-Match award this term. Well played, David!